Good news, muggles. 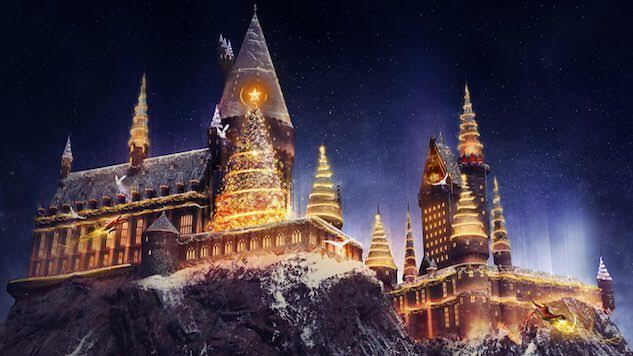 The Wizarding World of Harry Potter at Universal Orlando will now be hosting a Christmas celebration running from November 18, 2017 to January 6, 2018. Christmas lights and decorations will illuminate your favorite Harry Potter scenes, including Hogwarts, Hogsmeade and Diagon Alley. Live entertainment will be occurring throughout the streets as you relive some special holiday moments from the movies. With some new fancy shmancy technology, projections will be cast onto the infamous castle to recreate some magic for HP fans. Universal Orlando is also introducing a holiday parade featuring Macy’s legendary balloons, which will include favorite characters like the Minions, Shrek and, you guessed it, Santa. So basically all of your childhood dreams are coming to life this Christmas (at least mine are).